ENTAM/ENAMA: The European Network for Testing of Agricultural Machines (ENTAM) is the network constituted by the official testing stations in those European countries which have signed an agreement on shared activities. These activities have, as their ultimate aim, the implementation of standardized tests of the performance, safety and environmental aspects of agricultural machinery and tools. The ANTAM Secretariat interacts with ENTAM through the Italian Agency for Agricultural Mechanization (ENAMA), a lead member of ENTAM. ENAMA is a body established to offer the agro-mechanical industry in Italy effective support in order to improve competitiveness, enhance technology and raise awareness of the performance and safety features of the machinery amongst those operating in the industry. ENAMA has been designated as the Technical Reference Unit of ANTAM for 2014-2016. FAO: The Food and Agriculture Organization of the United Nations (FAO) is a UN specialized agency. Achieving food security for all is at the heart of FAO’s efforts. FAO three main goals are: the eradication of hunger, food insecurity and malnutrition; the elimination of poverty and the driving forward of economic and social progress for all; and, the sustainable management and utilization of natural resources, including land, water, air, climate and genetic resources for the benefit of present and future generations. OECD: The Organization for Economic Co-operation and Development (OECD) provides a forum in which governments can work together to share experiences and seek solutions to common problems. Their work includes policy dialogue, economic, environmental and social analysis. In addition, the OECD sets international standards on a wide range of things, from agriculture and tax to the safety of chemicals. UNIDO: The United Nations Industrial Development Organization (UNIDO) is a UN specialized agency that promotes industrial development. Main functions cover the following aspects: (i) technical cooperation; (ii) analytical and research functions and policy advisory services; (iii) normative functions and standards and quality-related activities; and (iv) convening and partnerships for knowledge transfer, networking and industrial cooperation. The Advisory Panel of ANTAM is responsible for: (i) reviewing the strategic focus, objectives and priorities of ANTAM; (ii) making recommendations for the operations of ANTAM; (iii) monitoring and evaluating the programme of activities of ANTAM on a regular basis at least once a year; and, (iv) conducting outreach activities with other organizations to assist in resource mobilization. The Advisory Panel is appointed for a term of three years and members can serve more than one term. 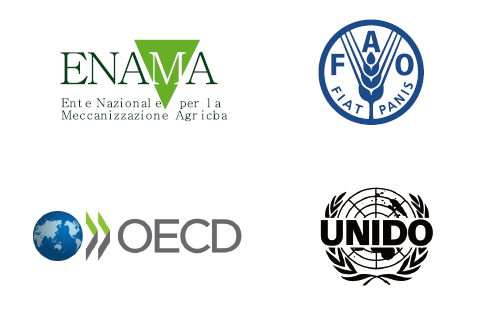 The Advisory Panel for 2014-2016 include: CSAM, ENTAM/ENAMA, FAO, OECD, UNIDO, China and India.